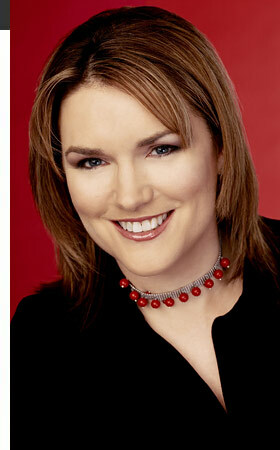 Fionnuala Sweeney is an anchor and correspondent for CNN International based at the networks headquarters in Atlanta. She has anchored and reported on major news events from around Europe and the Middle East, including CNNs Emmy and Peabody Award-winning coverage of the fall of Egyptian president Hosni Mubarak in 2011. Sweeney has anchored CNNIs live coverage in the field from locations such as Abu Dhabi, Jerusalem, Gaza and the West Bank on stories including Israel's withdrawal from Gaza and parts of the West Bank, Operation Cast Lead in late 2008 as well as several Israeli parliamentary elections. She also anchored special coverage from Cairo on the start of the uprising against Colonel Moammar Gadhafi in Libya. In 2006, she anchored and reported from Haifa during the Israel-Hezbollah Conflict, which earned the network an Edward R. Murrow award. Her many assignments include the Good Friday Peace Agreement in Northern Ireland, subsequent elections and the reinstatement of devolved rule there; special programming across eastern Europe marking the 20th anniversary of the fall of communism; the disappearance of Madeleine McCann in Portugal; and Tony Blair's resignation as British Prime Minister. She also covered the London bombings in July 2005 and reported from the Czech Republic, Hungary, Slovenia and Slovakia as they prepared to join the European Union. Sweeney joined CNN in 1994 from Irelands RTE, where she had been a radio and television news reporter and newscaster since 1988. In 1993, she was selected to present the Eurovision Song Contest on behalf of RTE, broadcast live to 350 million people in three languages. A native of Belfast, Northern Ireland, Sweeney has a Higher Diploma in Education and a Bachelor Degree in English and History from University College Dublin.